Text description provided by the architects. Shoreview is a suburban community of 25,000 residents located 12 miles north of St. Paul, Minnesota. 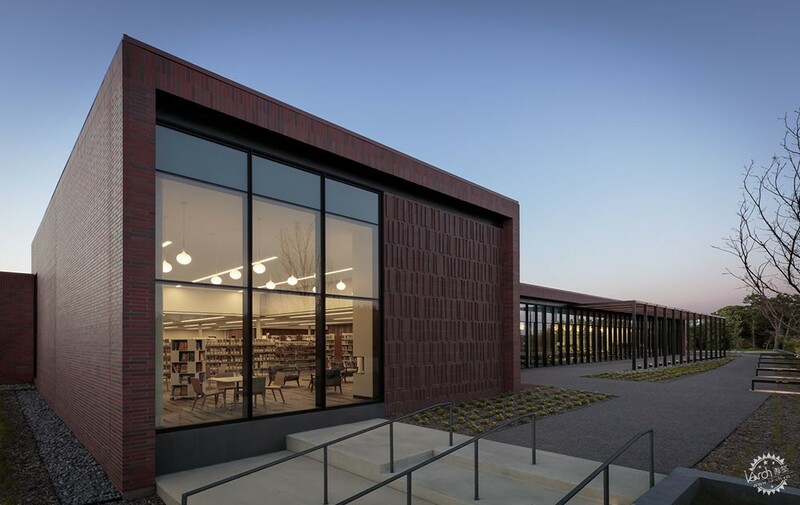 The new library, operated by Ramsey County Libraries, replaced a functionally obsolete community library with the Shoreview Library as a new regional library serving Shoreview and the north metro suburbs. 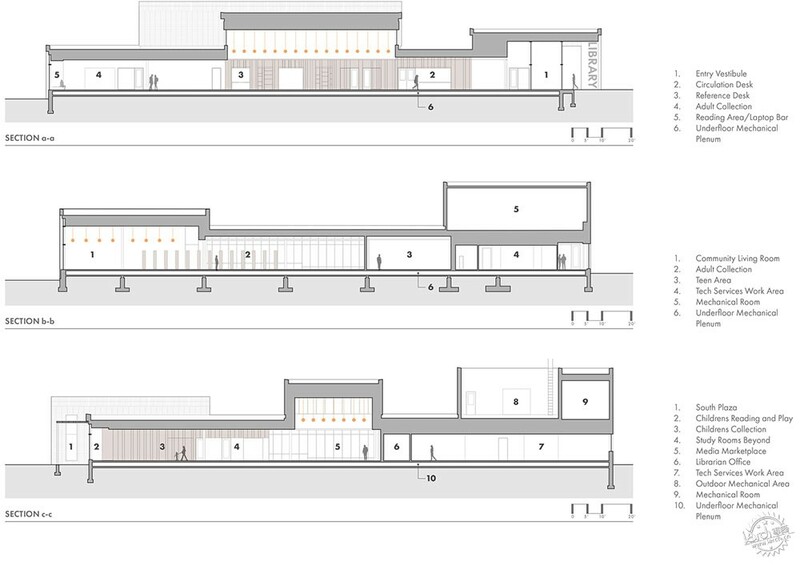 Ramsey County Libraries sought a highly visible site for the new Shoreview Library. 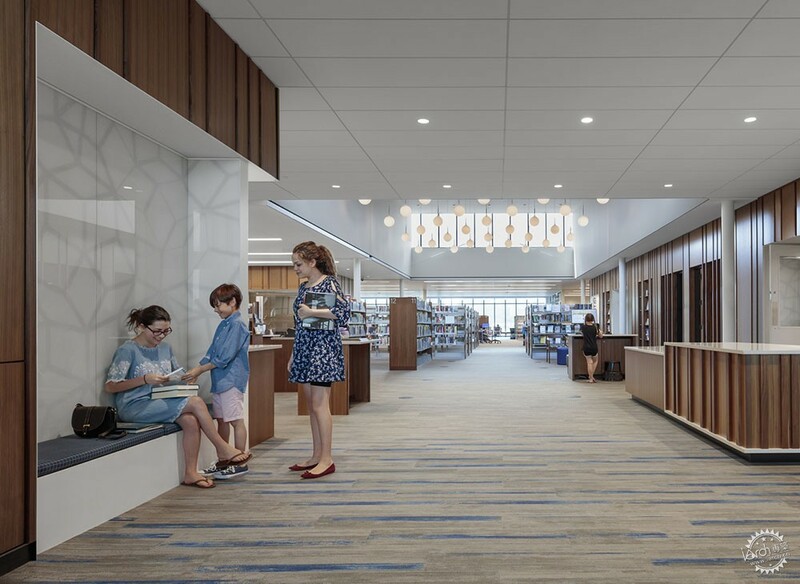 Since the Shoreview Library mission was transforming from a local community library into a larger regional library, a visual prominence announcing the new services offered was important. 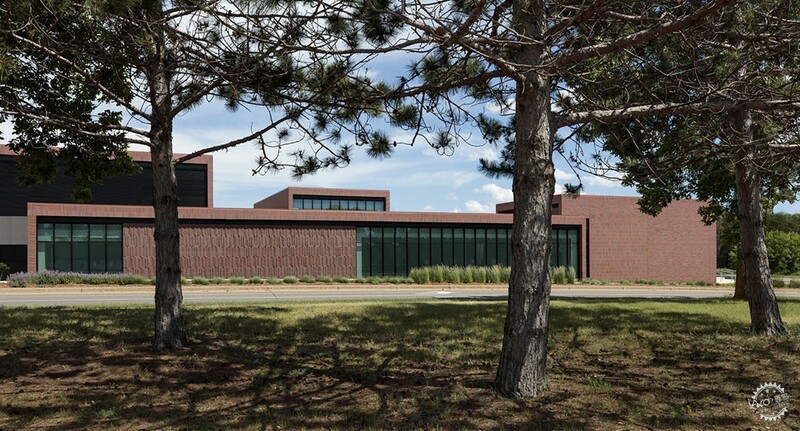 The site, while owned by the County, is encircled by civic facilities serving a variety of uses for the City of Shoreview. 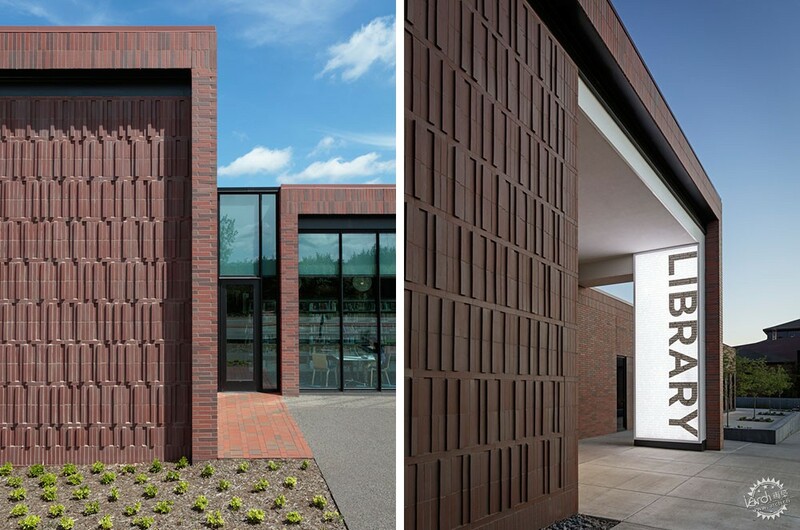 The City facilities have a nominal material consistency through the use of various brick blends. 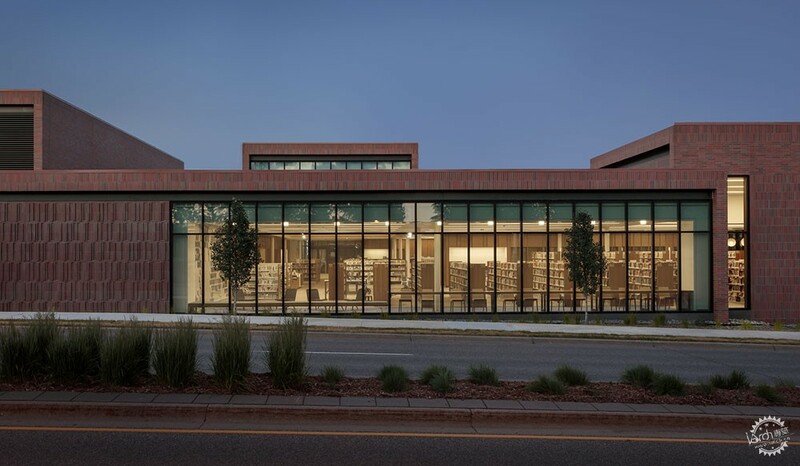 At an urban scale, the design parti for the Shoreview Library sought to synthesize an expression of the library’s distinct program with a legible connection to the civic campus. Access to the library from multiple directions for various modes of transportation is vital to the library and Shoreview community. 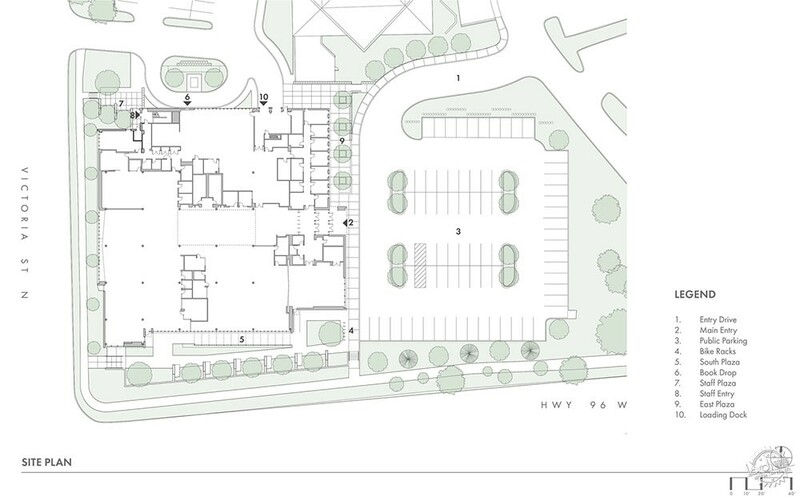 Creating intuitive and seamless connections to encourage other means of access and arrival became an important planning focus. The design seeks to celebrate the craft and experience of “book” through the lens of contemporary architecture. Folded models explored the physical inhabitation of “the page” which, in turn, informed the geometry of the protective “cover” – a reference to the exterior building envelope. 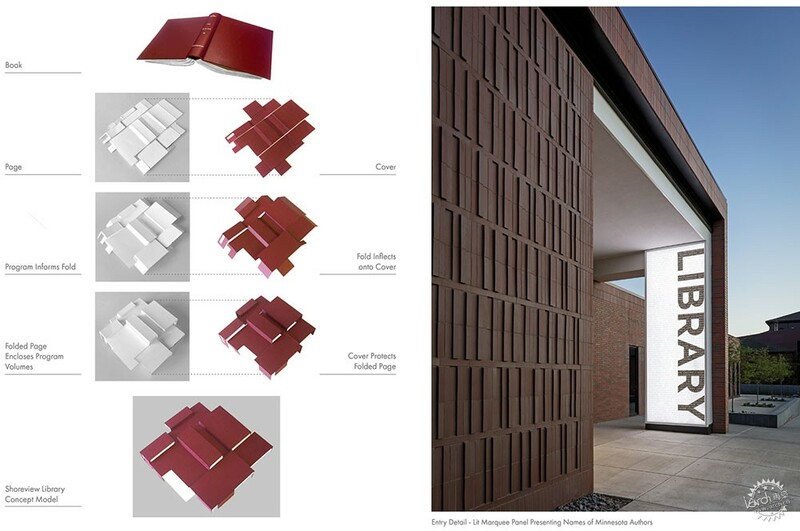 Each fold is informed by the space, light, and volume appropriate to the program it contains. 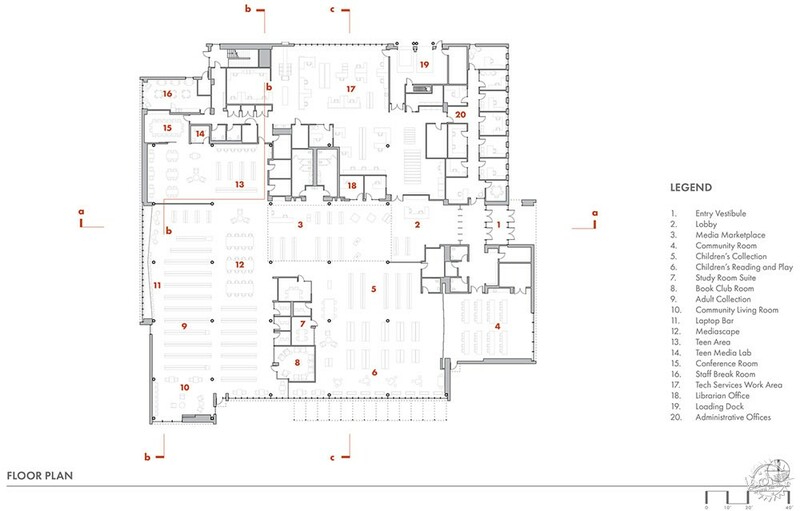 The completed building is distinguished by the evolution of a simple program diagram into an architectonic expression of form, material, craft, and detail. The work of renowned Minnesota authors has been shared and read around the world. Sinclair Lewis, F. Scott Fitzgerald, Garrison Keillor, and Kate DiCamillo, and Laura Ingalls Wilder all called Minnesota home. To honor the Minnesota legacy of writing and illustration, several installations celebrating this tradition were integrated into the library design. 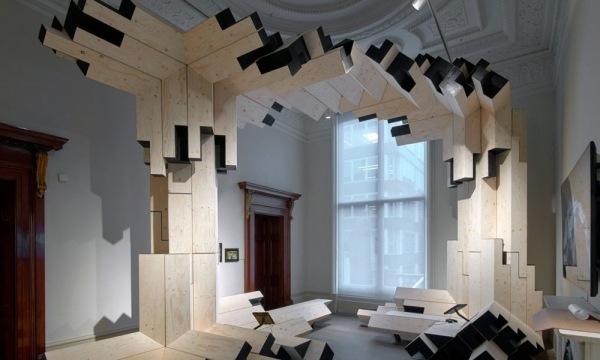 Interior environmental graphics showcase the work of children’s book illustrators. A translucent backlit marquee announces the east entry with a full height graphic. As one approaches the entry, the names of Minnesota authors are overlaid onto the graphic for the full height of the marquee. The white, folding interior surface hovers over a large single story floor plate. 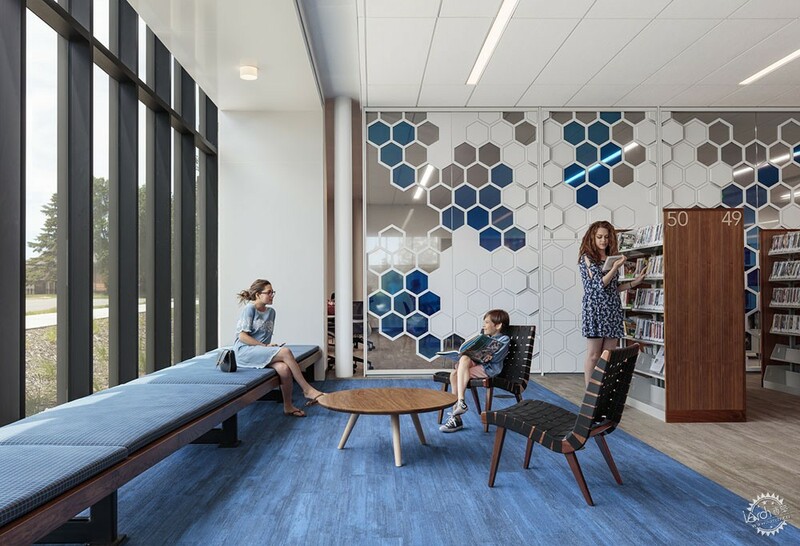 While long-term flexibility is vital to the changing programs in a contemporary library, the design seeks to create distinct environments from large group gathering to intimate single person settings. 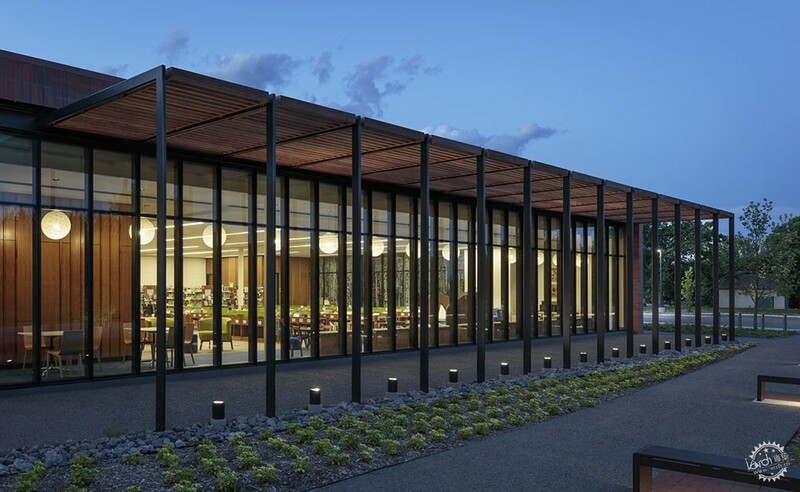 The open floor plan is subdivided into spaces of varying scales by three wood boxes clad in a natural finish walnut containing study rooms, offices, and display alcoves.